The preventable and treatable disease is still the second leading cause of death in children under the age of five. 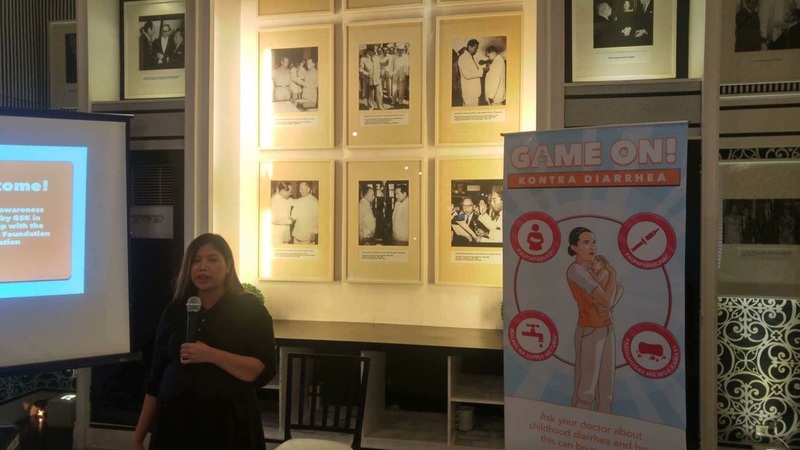 MANILA, October 10, 2018 – Despite advances in modern medicine, children under the age of five are still susceptible to diarrhea—a disease that has been identified as the second leading cause of death in children worldwide, next to pneumonia. The World Health Organization (WHO) reported that diarrhea kills about half a million children aged under five each year.In the Philippines, it is also one of the leading causes of death among children, translating to 14 Filipino children dying of the disease every day before they reach the age of 5.
its prevention, which includes breastfeeding, improvement of hygiene and clean water supply, handwashing, and vaccination. “We want to inform and empower mothers all over the Philippines to give their children a better chance to a brighter future. Rotavirus diarrhea can seriously impact on a child’s growth and development. 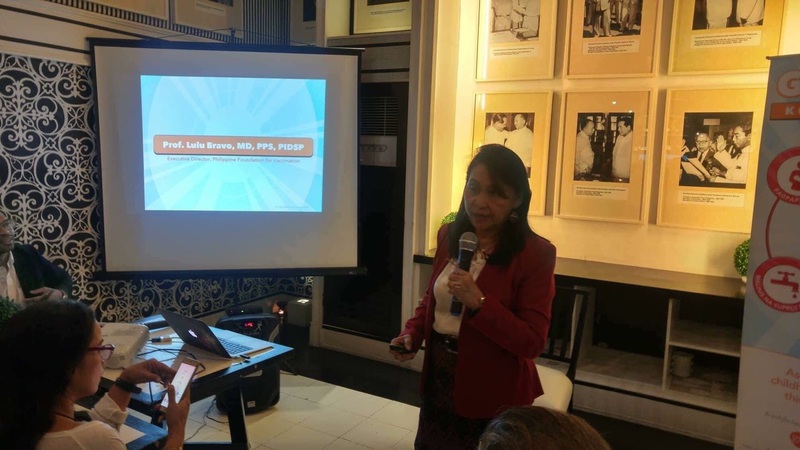 A holistic approach—breastfeeding, access to clean water and sanitation, handwashing, and vaccination—has been considered to give Filipino infants and young children a chance against this lifethreatening disease,” said Dr. Lulu Bravo, Executive Director of the PFV. “Helping protect our Filipino children from vaccine- preventable diseases such as diarrhea has always been a continuing commitment and advocacy of the PFV,”shared Dr. Bravo. 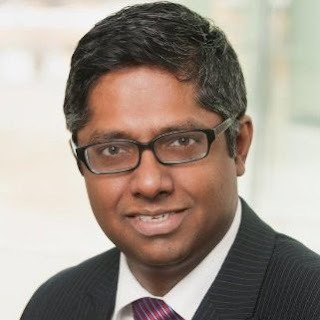 Vaccinating a child against rotavirus has been considered generally safe and effective based on data from countries who have implemented national rotavirus vaccination programs. In line with the WHO recommendation, 11 there are more than 80 countries that have implemented this measure such as the Philippines, Thailand14, United States, and the United Kingdom. Hospitalization rates and diarrheal deaths in these countries, have declined. “Diarrhea has been a long-standing health issue around the world and in the Philippines. 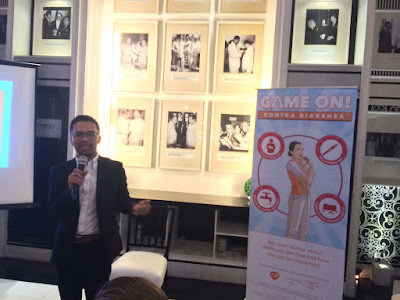 The time is now for us to act on it by increasing awareness amongst the public on the serious consequences of diarrhea among children,” said Sriram Jambunathan, General Manager of GSK Philippines. 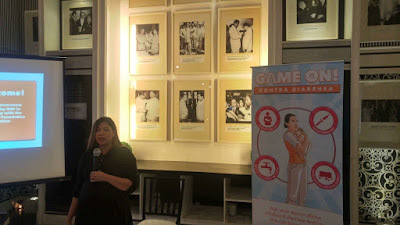 “We will continue to help raise awareness on childhood diarrhea in some of the communities in the provinces with the highest diarrhea cases. All of us—industry, doctors, policymakers, and the civil society-- need to work together to help ensure that our children remain healthy and protected from diarrhea,” urged Jambunathan. This year, GSK commemorates its 50th year in the Philippines and commits to continue helping Filipinos do more, feel better, live longer. 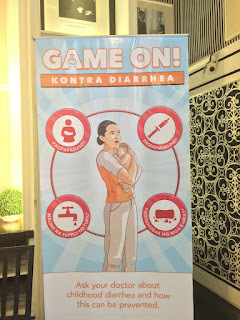 The Game On: Kontra Diarrhea Caravan will be in Agusan on October, Iloilo on October 23, Manila on October 25, and finally in Dagupan on November 5. To know more about the childhood diarrhea and how to prevent it, consult your doctor or community health worker. 3. Liu L, Oza S, Hogan D, Perin J, Rudan I, Lawn JE, et al. Global, regional, and national causes of child mortality in 2000–13, with projections to inform post-2015 priorities: an updated systematic analysis. Lancet (London, England).2014. 4. WHO Weekly Epidemiological record 2013. 11. WHO. Weekly Epidemiol Rec 2014; 89: 53–60; 2. WHO. 2015. Statement from the Global Advisory Committee on Vaccine Safety. 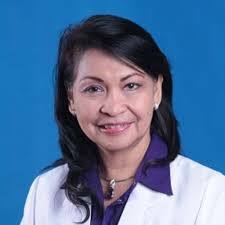 Lulu Bravo is a Professor Emeritus at the College of Medicine, University of the Philippines Manila. of Health, University of the Philippines Manila. Professional in Medicine given by the PRC of the Philippines. Southwestern Health Science Center in Dallas, USA in 1986.